(TibetanReview.net, Nov30, 2016) – In a thinly veiled message to China, the UN secretary general-elect Antonio Guterres has on Nov 28 called for respect for a balanced and effective combination of all the rights, namely civil and political rights as well as economic and social rights. China maintains that its human rights obligations stand fulfilled with the improvement in the living standards of its citizens while persecuting, mostly illegally and brutally, those who call for respect for civil liberties and political rights. Addressing a press conference with Chinese Foreign Minister Wang Yi in Beijing, the new UN chief said the world body needed to ensure an “effective combination” of human, civil and economic rights in a world where many rights are not respected. And he wanted a United Nations that abided by its founding principles, which includes respect for the Universal Declaration of Human Rights. 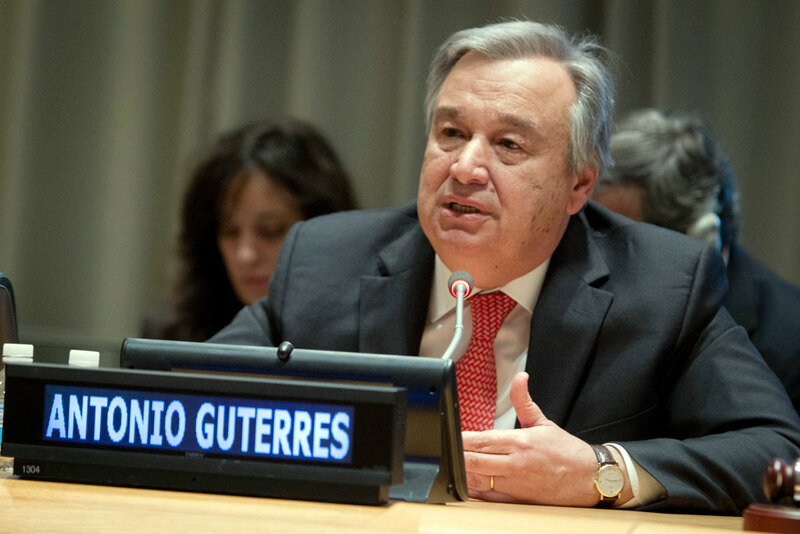 Guterres remarks came as authorities in the Chinese capital detained hundreds of petitioners during his visit. Police and security guards beat up some petitioners after hundreds of people with complaints and grievances against the ruling Chinese Communist Party gathered outside the national-level police complaints department in Beijing, rfa.org Nov 11 cited eyewitnesses as saying. “There were so many police there, about 1,000, with maybe 400 interceptors” from the different provinces from where the petitioners had come, the report said. “Some interceptors snatched away one petitioner from right under the noses of the police,” Yuan Ying, a woman petition from Sichuan Province was quoted as saying.